There are two important things, which are not hard to see, about visiting a healthcare facility: knowing how to get there and knowing how to get where you need to go once you are there. Both of these needs can be met with high-quality healthcare signage by United Signs of Peachtree Corners. From the outside to the inside, good healthcare signage can be an important way to put visitors at ease when they are seeking medical services, and here are just a few kinds of signs we can provide. Perhaps some of the most important signs in your Johns Creek facility are wayfinding signs. This kind of signage helps people get where they need to go, and in so doing can get people there on time, and thus help your operation run more efficiently. In a large institution both staff and visitors benefit, and staff members are less involved with directing others where to go. Hand in hand with wayfinding signage, department signage will help direct traffic in a large institution such as an Atlanta hospital. Exterior signage should bring visitors to the parking most suited to the department they are visiting, and directories should clearly show the way once they reach the main building. Color schemes are also useful in making it clear where to go, and signs near stairways and elevators are often a good idea. Many kinds of exterior signage can support your Alpharetta facility. Channel letters are a popular option that lend themselves well to 3D designs, and can be seen clearly 24 hours a day. 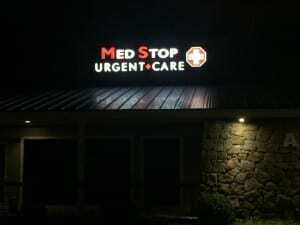 Often fabricated from sheet metal or aluminum, both standard letters and reverse lit signs can use lighting to make them appealing and visible both night and day. You may also consider lightbox cabinets which are a popular solution great for displaying your institution’s logo. Your Marietta healthcare facility can be accessible to those with disabilities with signage that complies with the Americans with Disabilities Act (ADA). Both steep penalties and a desire to assist those in need may inspire you to carefully follow the guidelines of this Act. 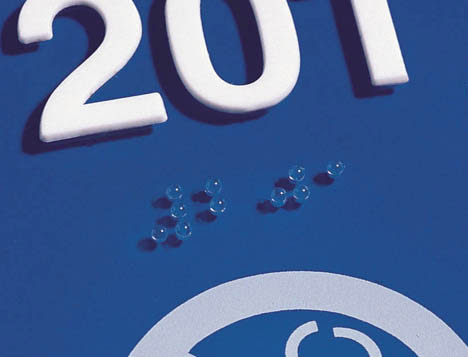 United Signs is experienced in making ADA signage and will help you navigate the regulations and ensure you are compliant in areas such as mounting, font, kerning, and proper braille. Questions? Call United Signs of Peachtree Corners at 678-203-6044 or submit our no-obligation contact form. Our friendly team will be happy to help you assist staff, visitors, and patients get where they need to go easily with superior healthcare signage.